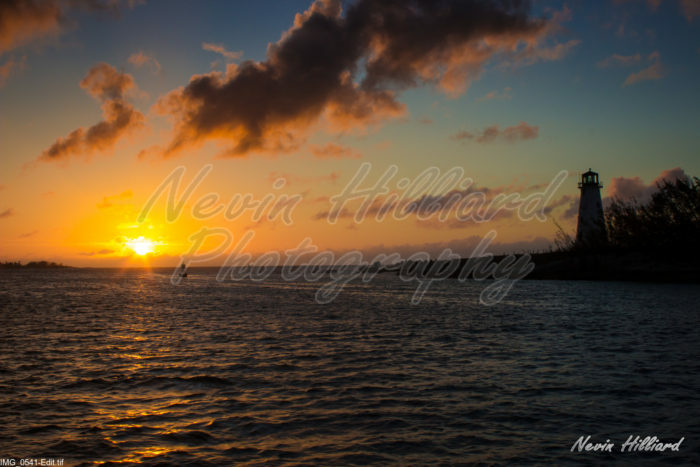 Nevin Hilliard Photography – My world though the lens of my camera. Providing great photography along with tips and tricks. I created this website to share my love of photography with others, and to take you on the journeys to places that are unique. Photos of places I have been to and the experiences I have had traveling – Look for the category of Road Trips. Instructional and informative posts on photography, travel and product reviews – Photo Tips and Instructions. On April 13th I went to Glen Helen Nature Preserve with one of the many photo groups I belong to. The goal, wildflowers. 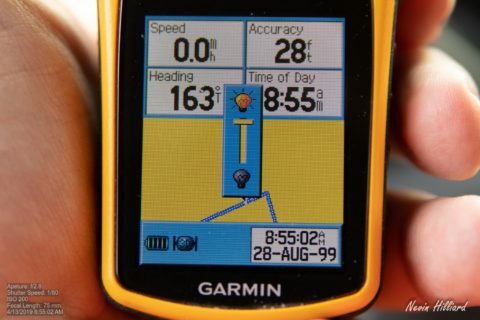 As always when hiking or really just leaving the roadway I took the handheld GPS with me. This serves several purposes: Help me find the vehicle if I were to get lost or come back a different train, and it helps me to know exactly (well close enough) as to where I took the photo. Notice below I brought up the screen on the GPS showing the exact time. This will help if so if the camera’s clock is off I have a photo of the time that it should read (so I can shift the capture time). 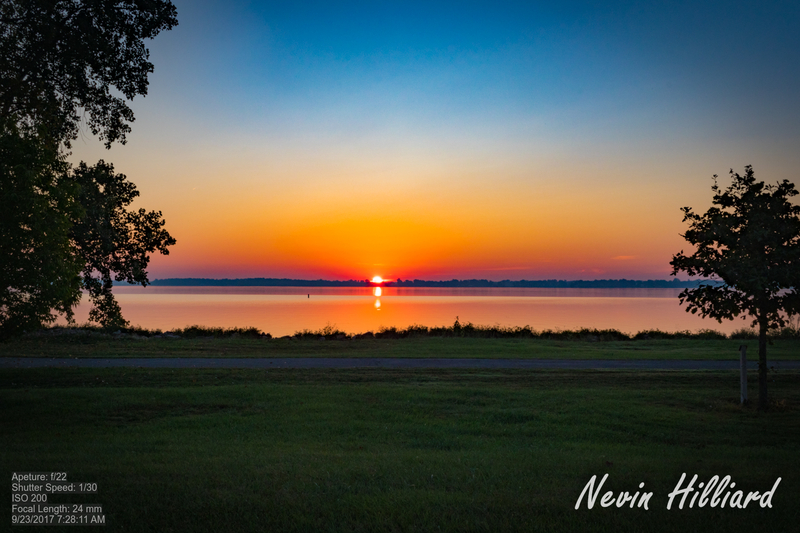 I have decided to showcase and sell some of my landscape photography work. These are photos shot all over the United States and a few in other countries. Prices will vary by size and mounting options All prints are produced in a renowned professional photo lab. Click the photo below to view my other landscape photos. I see it all the time, photographers posting pictures of their clients on and around train tracks. 1) It is illegal – Photographing on active tracks is always illegal and photographing dormant tracks is almost always illegal. The tracks and the area surrounding them are private property, so when you shoot on the tracks you are breaking the law (criminal trespassing). Even if you don’t see trains on the tracks, and there’s vegetation growing up in the railbed, it is still private property and those tracks can be active at any time. I wear MANY hats. In addition to doing photography, I still run my dj business. This blog post comes from experiences with the DJ biz, but can apply to photography as well. What do you do when a client abuses you or your equipment? So as you may or may not know. I volunteer to cover media for a local Christian radio station. I just finished shooting their largest concert, a 3 day event. If you’ve attended a concert that they sponsored, you’ve see me. I’ll be the guy loaded down like a pack mule with over 20# of camera gear, probably blocking your view (sorry, I need my shots). On May 19th Mom and I took a train excursion from Snyder Park in Springfield to Lincoln Park in Lima; passing through Tremont City, St. Paris, Quincy and the Quincy High bridge, Maplewood, Jackson Center, Uniopolis and St. John. The sun comes up how early? and you want to see it….? Those who know me know one thing…. I am NOT a morning person. I mean I can be if work makes me be there at 8:00, and I’m getting better too, I now have to be at work at 8:45 and I used to only take 11-8 shifts. That being said I got it in my head that I was going to get a sunrise photo. Now just to find the perfect location. I am not one for scouting out my locations; I’d rather just slam on the brakes and park the van and take what I can find. This does not usually work with things that you cannot see at the time of setup….. like a sunrise. Don’t look into the sun, you’ll go blind!!!! It was talked about for weeks on every newscast. Worse than when they warned Ralphie that he’d shoot his eye out with the Red Rider BB gun… “You’ll burn your eyeballs out if you look into the sun without the special glasses….” Yes, we are talking about the freaking eclipse of 2017. Droves and droves of people flocked to a 70-mile-wide strip of land that covered places in the USA that you would never think of ever visiting. Motels filled up and gouged travelers who dared to get into the path of totality, all leading up to a 2 minute 40-second-long moment where the moon passed in front of the sun and blocked its light. I’m a sucker too! On August 21. 2017 mom and I drove down to Cincinnati, while not in the path of totality, it would be 90% coverage. Not knowing what we would encounter as we headed out to Ault Park. What we found at 10:30 am was a group of volunteers and sky watchers from the Cincinnati Observatory setting up a canopy and 2 telescopes. We left to find food and came back at 12:00 with there only being a few more people.